The $350 Bose QuietComfort 35 Series II Wireless Headphones are pretty widely regarded as the best noise cancelling headphones Bose has ever made. We would agree with that for sure, but we also think that Bose uses unique sound tuning on its headphones that really isn’t for everyone. 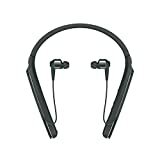 Thankfully, there are a bunch of other wireless noise cancelling headphones out there that deliver comparable noise cancellation and premium sound, and a favorite among countless people are the Sony WH1000XM2 Noise Cancelling Headphones Over-Ear Bluetooth Headphones. They’re fantastic and plenty of people say they sound even better than Bose’s QC35. If you want to find out what all the fuss is about, now is the perfect time because they’re on sale at their lowest price ever ahead of Black Friday. If you were hoping for a sweet deal on earbuds rather than over-ears, you’re still in luck because the Sony WI1000X/B Premium Noise Cancelling Wireless Behind-Neck in Ear Headphones are available at an all-time low as well. 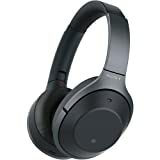 And if you want a less expensive version of Sony’s over-ear noise-cancelling headphones that cost even less, check out the Sony WH-CH700N Wireless Noise Canceling Headphones for just $98!